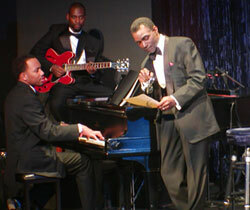 The Musical Biography of Nat King Cole – the story from the honky-tonks days to glory days in television and world tours. Featuring hit songs like Mona Lisa & Too Young. The son of an Alabama preacher, this soft-spoken jazz pianist became a worldwide singing sensation. He was a beloved superstar whose appeal transcended the boundaries of race, culture and geography. In UNFORGETTABLE, the audience will get to know Cole from his piano-playing days in dives and honky-tonks to his breakthrough contract with Capital Records and his glory days in television and world tours. Book at Computicket or visit the website at Theatre on The Bay.